When the X-Pro2 was announced earlier this year, it seemed only a matter of time before Fujifilm unveiled a replacement to its 'other' flagship, the X-T1. The just-announced X-T2 boasts the company's newest 24MP sensor, an AF joystick and a significant speed boost. You guys keep going on about the lack of a touchscreen. In their interview, Fuji gave you a clear, definitive answer as to why they did not implement a touchscreen. Fuji's "VOC" (voice of the customer); their consortium of X-Photographers they work with with respect to design, weren't asking for it. They have the data; you don't, nor did you participate in the discussions about it. You can bet it was fully considered and there are clear reasons why they decided not to do it. And they told you unambiguously why: because it goes against the "hands-on" aperture ring and control dial design ethos of the camera. They wanted the camera to stay true to it's design ethos and a touch-screen just confuses that design ethos. Why you still don't understand this point completely mystifies me. They gave you a clear answer and is clear that you are not listening. You are still biased about what *you* think it should be, rather than respecting that Fuji *really* knows what its customers want. Explain to me how a touch-screen would 'confuse the design ethos' of a camera clearly intended to be used just as much with the rear screen extended as it is with your eye to the finder. Sorry, Barney, but no. Fuji already explained it to you perfectly clearly in their interview with you, and as I mentioned, you guys are not listening to them. IMHO, this represents an editorial bias. The whole design ethos is to be operated using the control dials and aperture rings by hand, like on the manual film cameras we learned photography on. It's NOT about touch screens. The reason we buy these cameras in the first place is specifically for this type of manual control. If we wanted controls like a DSLR or touchscreen, we'd buy something else. If Fuji made this decision, they had Voice of the Customer (VOC) data from their consortium of X-photographers that backed up that decision. 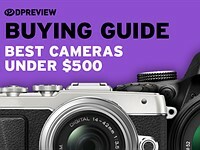 I know you guys are going to bash it in the full review for not having a touch screen, but then, IMHO, DPReview is much more focused on gear having a plethora of features that they *think* cameras should have, rather that what Fuji *knows* it's customers want or need as informed by it's VOC program. With respect, this makes absolutely no sense. The X-T2 is a mirrorless camera. 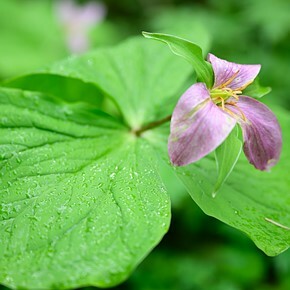 It can just as easily be used with the rear screen flipped out for framing, as it can with your eye to the viewfinder. It also offers a highly capable video function. Not being able to touch to focus in these modes is frustrating. Adding a touch-screen but enabling it to be selectively (or totally) disabled depending on photographer preference is the best of both worlds. Just look at Panasonic. @Stephen, what's your problem? The DPReview staff didn't do anything wrong. They just wrote "we were really hoping that the X-T2 would feature a touchscreen, like its baby brother the X70". What is wrong in expressing that they were disappointed, that a feature present in one model was not added to another model? This is freedom of speech! Please tolerate that, as well as I have to tolerate that Fuji refused to include it. I will by a X-T2 soon, although it's lacking this feature, because the Q Menu is almost useless for me without a touchscreen. Olympus made it right. Please think about that, Fuji. Sacher, my apologies for getting back to you late in reply (and to Barney, too). As a scientist, I like to think myself open-minded enough to stand corrected in the presence of new data or information. And, this also comes from the VOC perspective I touched upon in my comments. Let's set some context: I am exclusively a stills photographer, not a videographer. I really like the "hands-on" of the Fuji X line, It just works for me. That, being said however, when I saw someone shooting video on the new X-T2 & showed how they couldn't pull focus using the touchscreen, and they could with another camera, it made perfect sense to me why Barney's view that the camera should have had a touchscreen. So, gentlemen, Barney and Sacher, I humbly offer my apology in the hopes you will accept it, in recanting my previous position. 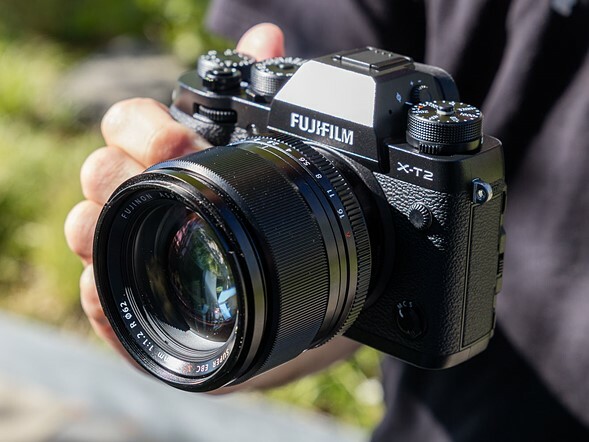 I agree with both of you that Fuji should have made the X-T2's LCD a touchscreen, it would have more fully realized the X-T2s impressive video capabilities. no problem from my part! Of course a camera such as the X-T1 has to satisfy different demands, some like it that way, some the other. Ask 10 people and they will demand at least 11 different cameras :) That said, VOC will never represent "all customers", and there will always be room for demands (btw: Fuji needs features to put into the X-T3, 4, 5... ;) ). I have to correct one statement too: I said that the Q Menu is useless for me without a touch screen. I was at Photokina this week and had the chance to play with the X-T2 :) Gorgeous! I told that to the Fuji-Guys and they gave me the hint that I can use the Q Menu with the Joystick! And guess what, it really worked! Still not as fast and accurate as tapping on a Olympus´ touchscreen, but good enough to be useful. Please ask them when the silver/graphite version is coming! --Just checked--XT10 is not even in the Products list in India.Very poor market strategies and hence marketing in India-Fuji Cams are overpriced in India in comparison to US market. Fuji has been sleeping like "Kumbhakarna"-brother of Ravana-in great Epic Ramayana!Kumbhakarna was fond of eating and long sleeping even years & having monstrous size! Please, please ask them, why they still do not offer a focus lock on a half-press shutter button. Adding this piece of code to the firmware of the Fujifilm X cameras they would feel like a real alternative to fast-paced DSLRs. After I fell in love with the X100 and I sold all my full frame DSLR gear to move to a Fujifilm X-T1. I generally love the camera and the lenses are incredible! But the lack of focus lock on a half-press shutter button still slows all Fujifilm cameras down - and by a lot! In many situations your camera is set to AF-S, you are neither using back-focussing nor shooting in continuos mode. But here you want to quickly snap away a few shots. But you can't (! ), because your camera has to refocus every time before it captures the scene. Even though your camera is capable of shooting 8fps, you end up with about 2fps. So you might just not get the image that you wanted of that particular moment and end up with the feeling of your camera having let you down. The lens made me shift to Fuji. Their camera is exceptional. But the software looked like it was developed by low paid and intern developers from India. The finepix import tool, it hangs my computer and frequently shows a "file locked" message. I wish Fuji will invest in their desktop software too. 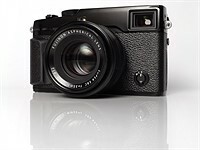 Same question as last time you talked with them: what is the future of the X-E2 line? I like the non-SLR form factor, don't care about the optical view finder (I almost never use the one in my X100T), and would like to see the new 24M imaging setup in a smaller, lighter form factor and at a more reasonable price point. Regarding future pricing of the X-E2 line, using the X-T1 and X-T10 as an example. It seems like you pay a lot for the weather seals on the X-T1 in comparison to the X-T10; otherwise they seem pretty darn similar. Don't care about 4K video, either. If I want really good video I will go to another brand and another type of camera. It's a different world. Too much unending marketing hype on the 4K issue in APS-C still cameras. And I would also like to thank them for updating the X-E2 to the current functionality, same as the X-T10, since I complained about it last year. Kaizen seems more evenly spread out now. Has Fuji fixed their cooked ISO number or is the camera still reporting ISO 4000 as ISO 6400 to impress user? I was quite impressed with my X-E1 until I realize my other cameras don't actually use such high ISO when set to the same aperture and shutter. It isn't technically "cooked". 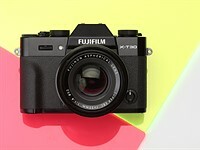 Fuji uses a different standard to rate ISO. (They're not the only one.) That said, I agree that it is, if not deceptive, at least misleading to those trying to compare IQ across brands. I have never read any technical argument for their choice of the less common standard so I tend to be a little cynical about this. That said, Fuji treats their customers well. I have no complaints. To summarise: REI relies on an arbitrary exposure that the manufacturer deems appropriate. SOS is therefore more of what I would actually call a "standard". I'm also not sure it was a good choice on Fuji's part because for many is has made the impression that they "cheat" with their ISOs. But technically it is the better standard. "Do note that if you want continuous autofocus, you'll need to drop the frame rate down to 5 fps." That's wrong. You get continuous AF with all frame rates. 5fps allows you to have real live view with nearly no blackout. With higher frame rates you loose that. There's a lot of high-quality lenses in the Fujifilm system and the new 24mp sensor lets them shine. The more I hope for a camera that suits me. I'm a left-eye shooter and I'd like to have a camera that allows to attach an optional tilting EVF (with high resolution). Does the flash works on multiple shots or is it still one shot flask camera????? Pros know how to use flash other than the manufacturers' TTL offering. A pro choosing this camera is not too concerned about the flashes available from Fuji. All they need is a hot shoe. I would note Hasselblad and Phase do not offer flashes for their cameras. 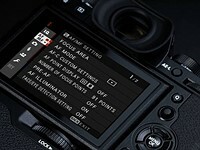 Since FW 4.0, the X-T1 can trigger a flash in both Ch and Cl drive mode in both C or S focus modes. Doesn't sound like you use an X-T1. Premature shaming. A rather compact mirrorless camera....with a battery pack. It's an option. Just like on a DSLR. Sometimes you want to keep the camera compact. Other times you want the added battery capacity and the vertical grip. It would be an issue if it were permanently fixed to the camera like on a Canon 1DX or Nikon D5. IMO the only thing missing is a OIS enabled 16-55mm f/2.8 lens. Yeah, I'm still surprised OIS didn't make it from prototype to production. I prefer to use primes but nevertheless holding out for a zoom with more reach, like a 16-70/4 OIS. Canon, Nikon and Olympus have something along these lines and it's a viable gap in the XF system to fill. Ditto - For a grand, I was hoping the 16-55 had OIS. I've opted for the versatile 18-135 + the brand new 23mm f2. 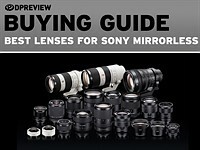 The less mushy buttons and the criticism that a lot of mirrorless cameras are afflicted by much control prompt a question (from a Sony Alpha 7Rii owner): Could the mushiness be fixed if a camera repair shop installed stronger springs under the buttons on some of these cameras? (Maybe we need a teardown from iFixIt or LensRentals to show us how). No. The buttons were mushy because they were small or thin. So were not very tactile, especially with any type of gloves. Bigger buttons, not stronger springs is the fix. I think the 'springs' are part of the switches themselves, and the switches I've seen on a camera I dismantled worked on the children's toy frog-clicker principle with no chance of adjustment. Al Valentino could well be right. Its ridiculous how crappy the dials are on the A7rII. I couldn't believe Sony made such crappy dials after the original A7 had far better dials. That was years ago ! Sony used to have everything propriety. Now they have a regular hot shoe from the old Minolta shoe, i can charge my camera with my mobile phone charger and I use regular SD cards after Sony stopped shoving memory stick cards. And lastly they released a firmware to add uncompressed RAW when i never found any issues with their old RAW files. I wonder if there will be a bottleneck with this camera knowing the back log Sony is having with sensors because of the earthquake. I'd appreciate a way to buy the camera without the new flash, same as you can without lens. $450 is a nice chunk of change for something I will probably never use. Since I plan on keeping my X-T1 as a backup, a cheaper option for the body (with the understanding I'll have to buy the flash separate if I change my mind down the road) would be most welcome. you dont have to buy the new EF-X500 flash, but the camera ships with a lower-powered external flash shown in slide 15, the EF-X8. Ahh, thank you. That makes sense. Wow. The amount of whingers on here complaining about the sensor size. 'Oh no, it's not FULL FRAME.' What a crock. When you shoot your beloved full frame DSLR, does it ever cross your mind that someone out there is shooting with Medium Format, rendering your 35mm sensor tiny? Meanwhile I'm shooting with a Micro 4/3 size sensor, producing perfectly decent results (according to most). I have never owned an X camera, but this particular one looks beautiful and functional. Good for Fuji. I have bought full frame cameras too. The difference in system size and the lack of a difference big enough to get me excited caused me to ditch the full frame gear. Some of us don't suffer from a need to own a camera that pushes limits we ourselves are nowhere near. M43 cameras, apsc cameras, and full frame cameras are all much better cameras than I am a photographer. If I ever outgrow m43 I will grab ff for the specific times I need it. But that hasn't happened. 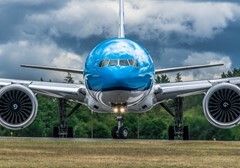 @Neodp who cares about a stop or two of noise? That's my point. There's a lot more to a camera than just pure IQ for most people. Very few of us are blowing up our images enough to be concerned about this. I printed an 18x24 from 12 Mp from my LX100 and it looks fantastic over my fire place. It's weird how people complain about the price, as if there were so many APS-C alternatives with this kind of image and build quality, controls, low-light performance AND 4K video. It's a flagship model for a flagship price. Not being full-frame means squat, because Fuji's sensor performance already rivals that of full frame, while offering many other advantages. My main camera is full frame (D750) - there is nothing "magical" about it being full frame. I had a chance to shoot some X-Pro 2 and I loved it - the performance is not far off from my oh-so-full-frame Nikon and in some areas - better (the noise pattern on Fujis is beautiful - I don't even want to correct it). In JPEG it was actually visibly better. And that's not even touching the subject of excellent glass (better than anything I have on Nikon) or entirely different and unique shooting process. It seems like people are willing to buy words "full frame" more than than the actual product. The problem many have with the price is in comparison to the X-T1 introductory price. It is significantly more. Meanwhile, the X-Pro2 debuted at the same price as the X-Pro1 despite it being a *significantly* greater upgrade. There is no major hardware addition in the X-T2 that is not also included in the X-Pro2 (including the ability to shoot 4K, which is present but disabled in that body). The nearly 25% increase in price seems to be pure profit. It is absolutely Fuji's right to charge what the market will bear but that doesn't mean we have to be happy about the extra $300 Fuji is pulling out of our wallets. That said, I don't disagree that the X-T2 is a greater value than many full frame flagships and I certainly love the refinements and additions they've brought to this next generation X-T.
Well, sure, there's "no reason" for pro stuff to be expensive, except that there is. It's called capitalism. It's flawed, but it's what we have. Top-quality gear always was and will always be expensive. For those who think the cost is too high there are plenty of cheaper alternatives. I was so excited until I saw the price tag. Also, only around 340 shots per battery charge? At least it'll make you think harder before clicking that shutter. These are rechargeable batteries. In a couple seconds you can have it swapped out with a backup and on to your charger. Actually, it wouldn't, you're working on a fundamentally mistaken understanding of how mirrorless battery works, but it's not your fault... CIPA really needs to re evaluate how to rate this. On a mirrorless body, battery life is more about uptime than shots taken. You can very easily take 30 shots or 1,300 on the same battery charge of most mirrorless bodies, the actual act of taking a shot consumes a negligible amount of battery... It's keeping the camera on (with it's displays and constant sensor feed to them) that consumes the bulk of the power. Essentially, you have to think of it more like a phone (or indeed a P&S) than you would a DSLR (which have much lower idle power consumption, low enough that IT is negligible). Battery will last X amount of hours with the camera powered on (typically 2-3, a bit more on larger bodies), period. You can probably take as many photos as you can manage in those X hours, and indeed if you're working fast, running and gunning, or using bursts/intervalometer you'll probably double or triple the CIPA figure. OTOH you can't just leave it turned on all day like a DSLR either, it's just different. Batteries are pretty small tho, so carrying multiple spares is pretty easy. The price looks good for the quality you're getting. If the battery life is anything like my X-Pro1, then you can shoot at least twice as much as the official stats suggest. I've taken over 600 shots in 4 hours or so and there's still life in the battery. Yep, exactly what Impulses says. I don't know excatly how my Olympus OM-D E-M5 is rated, probably around 350 as well, but while travelling I easily get 600-700 shots on 1 battery, and while shooting concerts using burst mode, getting 1000-1500 pics on 1 battery. And oh, I'm using cheap 3rd party batteries, usually priced around $7. I'd like to know how this compares to Sony a6300, esp. video wise. I don't care for the retro looks though - seems like with these two you have to choose between ridiculous ergonomics or random retro. Why on earth would you care what it looks like? Just take photos with it for f**k's sake. "It's like saying who cares what a car looks like, just drive it." It always puzzles me when people are surprised that a photographer, usually an artistic, visually-oriented person, cares about the aesthetics of their gear. Kudos if you can just view it as a tool (I guess) but I love beautiful objects just as much as I do beautiful photographs and my preference is to carry one. Just ask them about the upcoming medium format camera!!! i sold my fuji stuff a while ago but i really hope to be back some day. the x-t2 seems to adress many issues...now we need an update to the primes to get rid of the slow focus motors and something quicker thats in line with the camera capabillities. Think I'll stick with the old models I use now. "We're headed to New York soon to interview senior Fujifilm executives." Is it me or most interviews with camera manufacturers are featuring panels mostly composed of engineers or managers, and only very rarely, designers ? 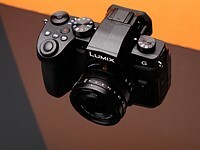 With the XT2 there is a mix of interesting design developments (such as the DC connector on the grip), and some really dumb moves as well (Fn / video button), and I'd really like to know more about the camera design process in general and what leads to some of these decisions. I don't doubt that engineers and managers have interesting things to say about them, and today I'm not so sure it's quite clever to make such a distinction between them and designers, but I always feel like design is seen in these companies mostly as "aesthetic" or things such as "we wanted to evoke our 60 years history blablabla" and that designers aren't on a level playing field with the rest of the team when it comes to taking some crucial usability / controls / features decisions. Actually, you can use the shutter button to start / stop video recording in place of Fn/video button. The problem with the Fn/video button is that of these two buttons, Fuji removed the one that isn't a PITA to reach and kept the one that's very badly located. Looks like a nice camera if you need APS-C and are 100% sure you will never switch to full frame. Nevertheless, there is NO reason whatsoever why this camera should cost so much more than the Nikon D7200 or A6300. It is the same tactic as Olympus: lock users into your crop lens system, and then jack up the prices of bodies to stratospheric levels. Have to say I agree. It's a bit smaller than a D7200 but has inferior battery life and image quality. Like the X-Pro2, it's a cute little camera but stupidly expensive for a subframe snapper. I'll be keeping the D810 as my main camera and I'll probably get an X-Pro2 when prices have dropped to sensible levels, just to give me a compact and discreet second camera. Just one reason to me, the Fujinon lenses. Oh quite, I bought an X-Pro1 for peanuts about 18 months ago just to shoot the 35/1.4! Absolutely love the camera and lens! I will buy a new camera - the T2 or X-Pro2, but only when prices are sensible. The launch prices are absolute lunacy! Turnip chops - yeah I know but the price of this camera is well into FF DSLR territory and about double the price of a comparably specified APS-C DSLR. I know it's pretty and funky, but even so...! "Turnip chops" is my new favorite explative. Well of course there's the Nikon for you. 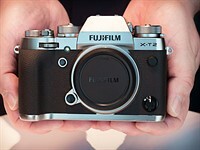 Fuji is positioning this as a premium camera while Nikon and Canon are commoditizing theirs. As a long time FF user I have to say there is nothing to keep me here other than a 17TS-E. Weight and bulk are scarcely appealing. The IQ is great but so is the IQ from my m4/3. My clients are using my work in magazines and on the web and there is nothing to choose between the two formats in those applications. Photomonkey - what you say is true - subframe cameras are plenty good enough under most conditions. That being said, I photographed a gig the other day with my X-Pro1 and my god did I wish I'd taken the D810 when I saw the images! Nothing against APS-C or 4/3, but they need to be cheaper than FF DSLRs. Otherwise you'll just buy the better camera and put up with a little more weight! theprehistorian- What were you shooting? I have to agree that these formats have their strengths and weaknesses. 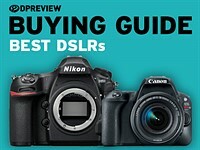 Nikon D500 costs even more than this camera and is a well rated crop sensor camera. I cannot believe the number of people that look down their noses at APC like it is not good enough. 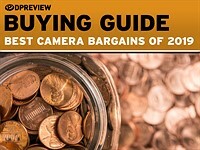 It is for 95% of the users that do not want to pay full frame prices and carry full frame weight. how can anyone possibly say the XT2 has inferior image quality to the Nikon D7200? in all likelihood, they use the same Sony-manufactured 24mp sensor. If the price is too high, you can always wait for the XT20. Hells yeah. LOL at everyone who thinks a sensor based on consumer size film is amazing. @cameron2 - thanks for correcting me! I've seen other people refer to <35mm as 'subframe' and it's always struck me as clumsy. 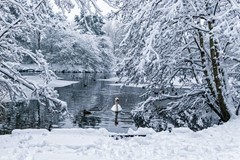 Had to focus and recompose, it was the only way to use the camera in those conditions. I'd like to ask Fuji why there is no GPS in any of their cameras. 6D, 7D Mk II, K-1, X1D all have it so it's not that niche, and having to separately track your travel is a fudge when the tidiest solution is to embed the location in each image file. Meanwhile my phone has been able to geotag every photo it takes since 2011. Believe it or not, some of us don't *want* GPS on board. It would either drive up the price, or, if the price stays the same, lower the quality of the other components. I want a *photographic* instrument, not a homing beacon that takes pictures. GPS is a fairly useless gadget to many. @Firemonkey the Pentax K1 has GPS and is arguably one of the best built cameras out there. Gps is indeed wonderful. It is a pleasure that my iphone pictures are geotagged. @sgt gatr I'm sure the K1 is a great camera. If you like it, and want GPS in your camera (I don't), then go for it. Me, I'll take what Fujifilm offers with the XT-2, which is a complete system with the specs I want and need. Cheers. You can use your phone to provide GPS info at capture to Fuji X cameras with Wi-Fi via their app. It's more hassle than built-in GPS, but you get files from the camera with location metadata, which is good enough for me. Is it not possible to remember where pictures are taken? I couldn't care less about GPS. Maybe it's an age thing? 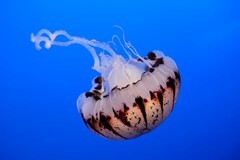 @firemonkey I am only asking for the availability of one Fuji X camera with GPS. Believe it or not that would leave plenty of non-GPS enabled cameras to choose from. 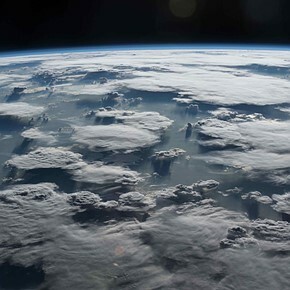 @turnipchops The world is very big, and being able to locate where a photo was taken has many uses. @samuel Jessop Sure I appreciate that. Despite being a seasoned traveller, I'm rarely country hopping so much that I would forget. On the other hand, I agree that if its there, we can both take or leave it. I don't know how problematic it is to add, but I can't imagine it being that hard. GPS would be hugely useful for me and something that makes me decide what camera to buy if other features are not so different. I just got back from a trip over 4th of July weekend and I had to my iPhone a number of time to take photo of the place I've captured with my "proper" camera so I know exactly where the photo was taken. GPS might not be useful for people that only wants the image and not the memory but for me, knowing exactly where and when I was is important years down the road when name and scenery might have changed. 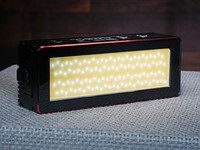 I think the old guard crowd are trying to keep EVF, GPS, IBIS, Wi-Fi, touch screen out of cameras so they can connect with their younger self when those features aren't available to photographers. I can respect that but I also want those features available on some models for people like me. @samir sinha You're being ridiculous. There is a very practical reason to have GPS. It's called geotagging. You may not shoot anything that would benefit from this but many of us do. That said, there is a very practical reason not to have GPS: battery drain. On a mirrorless camera like the X-T2, there isn't any extra capacity to spare. Fortunately, it is easy to record a track on your smartphone and sync it with your images in LR. *Really easy. * Some apps even sync the track to the cloud in real time so others can follow your location as you go. I went kayaking in the Adirondacks and it's wonderful to have my little Canon S100 record the positioning of every shot. I left my X-T1 behind because I didn't want to take a risk with it in the kayak. But I do try to tag my photos with location even after the fact on the map in LR. One option with the Fuji (and other cams) is to get an app like Geotag Photos Pro in which you sync your camera and phone clock. Then start a "trip" on the phone where it will keep a log where you are for each preset interval. Then you can load that log into LR when you get back and it will geotag your photos for you. It's a bit more trouble than having it in the camera, but it does the trick without any strain on the camera battery. @nrshapiro That S100 is a great little camera, and I wish that GPS was in the G7X. For me that would make it the ideal pocket camera. At present I track my position with GPS4CAM and those traces are easy to sync with photos in Lightroom. The problem I have is that if you don't have access to data or the trace fails, whereas embedding the location in the photo at capture means you don't need to rely on any further steps which can fail. @samir. you make lots of noise. 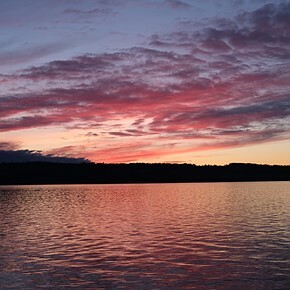 Look, many buy Fuji gear for travel & landscape. Thats where GPS is incredibly valuable. Guess you never had to tag photo locations for stock photos. Like in Venice, or in Namibia, you name it. "Oh what is this tiny street, or river bed called?" I'll tell you, you'd love GPS. Just to mention one use. Stop blathering please. @firemonkey: Since GPS is so small it can be built into a phone, it sure would fit well into a camera. "Lower the quality of other components"? What a nonsense!! Guys. 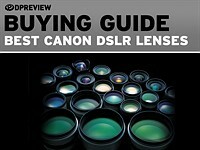 Its a very useful thing, directly related to a travel or outdoors photographers work. Just hope they have sorted out that back rubber cladding, mine came loose on my X-T1 after 6 months... not great on a flagship. Otherwise the X-T1 is great! had that problem too, got replaced quickly by the service tough. 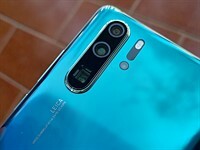 hope the durability is improved (if the cladding is the same...) we'll have to wait and see, but for a flagship device the build quality needs to match the price point! maybe DPR can comment on the rubber cladding? same or not? there was a problem on many XT-1 with the expanding rubber that becomes loose. the i/o port door had the same problem. hopefully they changed the mixture and all is good now. Both my A7IIs were dead and buried at 3 and 4 months respectively. Support - f***ing ZERO!! Sony - never again!! Please tell the Fuji Mgt that they really need tilt/touch screens on their viewfinder style cameras. They are obviously capable of engineering a screen that that does not take up extra space and it makes the camera much more flexible. If some people don't like touch/tilt screens they don't have to make use of the feature but I for one am not using my Fuji for macro (for ex.) because I will not lie on the ground just because they are too stubborn to acknowledge that a lot of people like the viewfinder styling and also want the usability of a tilt screen. Also a WR version of the 18-55 would be nice. For low angle macro shots I use a yoga mat. They are very lightweight and not too big folded and can be fixed simply on your camera bag. On my Lowepro Flipside 500 I put one side in the side pocket and the other side I attach with the stripe. I use knee guards frequently for landscapes but for macro lying is much preferable than kneeling with my b*tt up. If handheld I can even stretch my body a bit forward and make 10-20 shots for focus stacking. It has a screen that tilts in both landscape and portrait orientations. @duchamp I like to travel light, for low angle shots I use my E-M1 with tilt screen and built in focus bracketing and focus stacking. I would love to use my XP2 but much of the time the ground in my area is wet. You mean "rangefinder-style" cameras, Cheezr. You're confusing people. :-) And Fuji should absolutely have included this in the X-Pro2 and other rangefinder cameras. People who don't like it can just leave it in place. I don't know why Fuji let a small group of street shooters veto what is widely regarded as a highly useful feature. Agree 100%, I am hoping Olympus use the Fuji style on new EM1 MkII. I have the EM5 MkII and GH4 and both are a pain flipping the screen out and round compared to simply tilting, it sticks out vulnerably and is hardly discreet! Fuji solution is streets better. This looks great camera but not so great to jump between systems. Well, you need to like Fujifilm image output to start with. 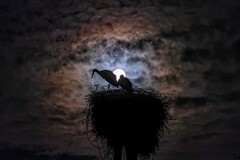 That's the reason to buy the system, and the great lens collection. Have the XT-1 and was disappointed it didn't work with GPS the way my Nikon D-700 does. Has Fuji made GPS easier with the XT-2? I don't know how a D700 works with GPS but I have an X-T1 too and I record a GPS track with my iPhone and sync it to my images in LR. It is very fast and very easy. The GPS functionality in Fuji's smartphone app is garbage. X-E3 please and more smaller lenses please. These were the reasons I switched from Canon. With the recent firmware upgrade, the X-E2 is a strong value at the moment. I picked one up for just over $400 new and it's a great alternative to M43. X-E3 and X-T20 will most likely come in 2017. 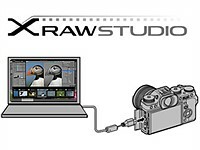 First teased back at Photokina, Fujifilm has released its X Raw Studio software, which uses the processor inside select X and GFX series cameras to convert Raws on your Mac or PC. In addition, firmware updates for the GFX 50S, X-T2 and X-T20 are now available. 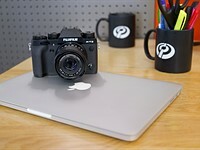 Fujifilm has announced a new Raw converter that uses the camera's own image processor while connected to a Mac or PC over USB. It arrives in November 2017 for Mac, and January 2018 for PC.